This year, shortstop Arquimedes Gamboa makes his first appearance on this countdown. 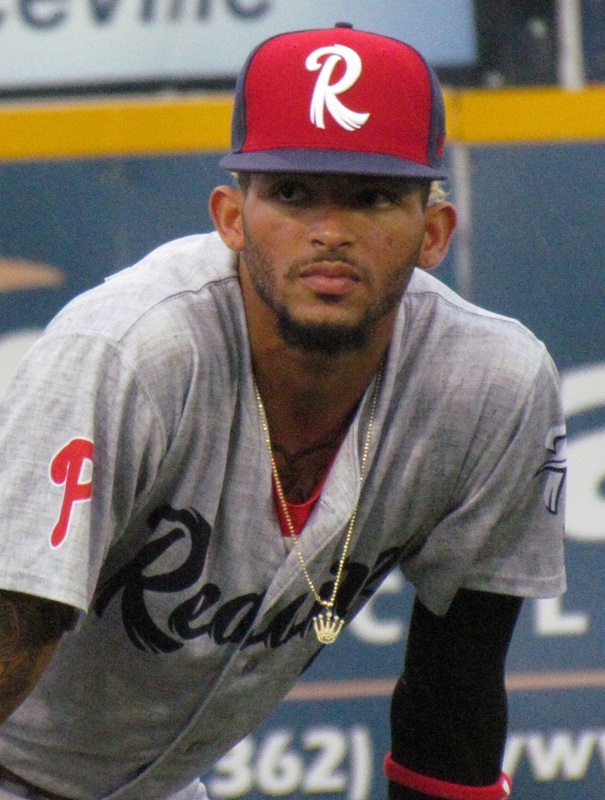 While the Venezuela native's statistics don't necessarily back up claims that he's among the Phillies' top prospects, his skill set is prevalent and he has steadily impressed many with his talent. Signed as an international free agent in 2014 at age 16, he participated that same year in the Florida Instructional League. Another short-season campaign was in store for Gamboa in 2016 as he batted .200 with Class A Williamsport. In 35 games there, he tallied six doubles, two home runs and five steals. Gamboa took the step up to full-season A level Lakewood for the 2017 season. He missed time that season with a hamstring issue, but the average would climb quite a bit and eyes would begin to truly open regarding the six-foot 185-pounder. In 79 games, Gamboa posted a .261 average with 12 doubles, three triples, six home runs, 29 RBI and eight stolen bases. Last year, Gamboa moved up to Class A Advanced Clearwater, where he enjoyed a good first half and saw his production take a dip in the second half of the season. In 59 first half contests, he sported a .261 average with 11 doubles, three triples, a homer and 20 RBI. In 55 second half games, Gamboa batted .163 with three doubles, a triples, a homer and 17 RBI. 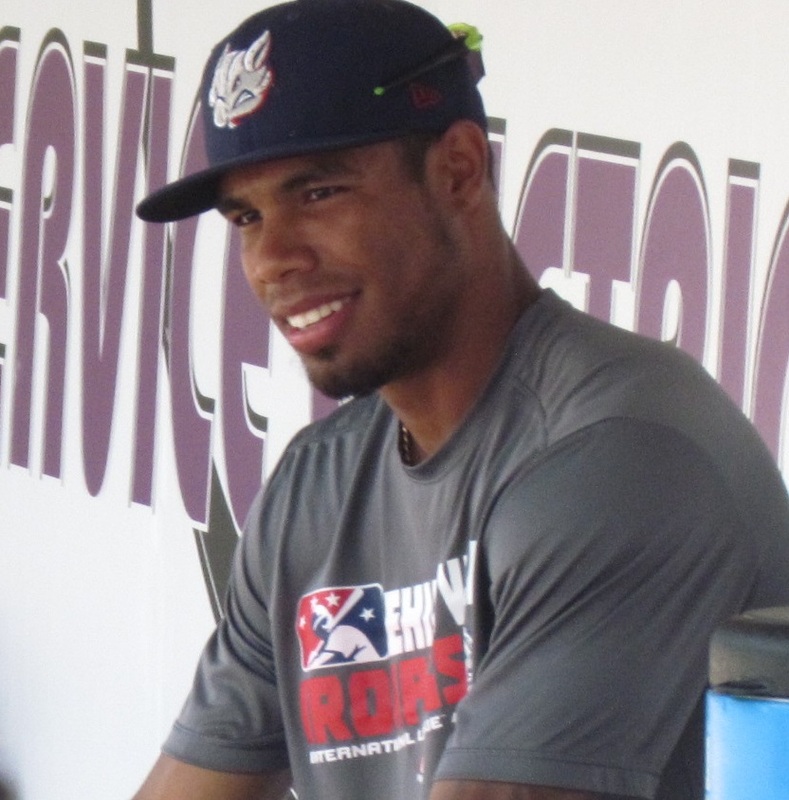 In the autumn months, Gamboa played with the Scorpions in the Arizona Fall League. In 20 games there he batted .186 with two doubles, three RBI and two stolen bases. Defense is where Gamboa will often shine the most. He has great range and a plus arm that help him look impressive in the field. Bat speed is a quality that stands out for Gamboa. His ceiling may be as an average offensive contributor, but with his great ability to man a premium position, he could become an attractive addition to dozens of big league clubs. In fact, I once overheard a scout from a particular American League powerhouse organization raving about Gamboa. Quickness on the bases is a strength for the youngster who should be able to swipe more bags at the higher levels of the sport. The Phillies clearly see a bright future for the 21-year-old, as they added him to their 40-man roster in order to protect him from December's Rule 5 draft. Gamboa should have time at the Double-A level in his future this year. 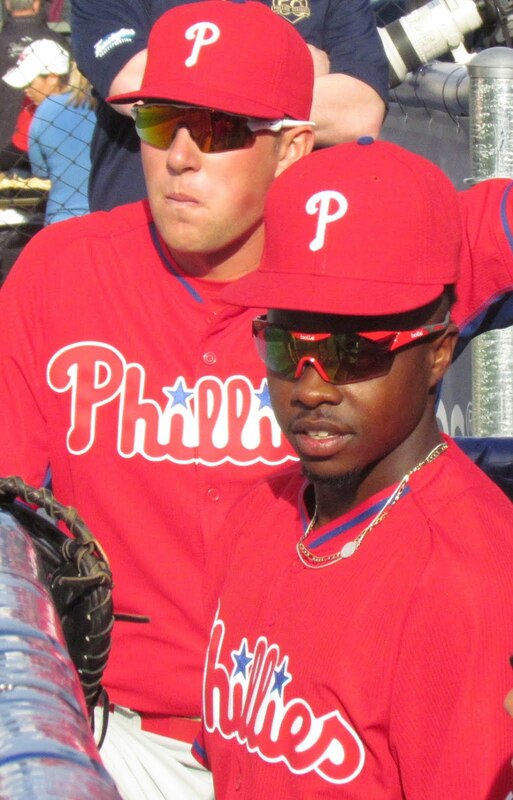 Track this year's complete Phillies top prospects countdown by clicking this link. Lefty hurler David Parkinson used a bust-out season in 2018 to propel himself into discussions about the most promising Phillies prospects. A 12th round draft selection in 2017, Parkinson tallied an 11-6 record with a 3.10 ERA and a 7.8 K/9 mark in two college seasons at Ole Miss after transferring from JuCo. 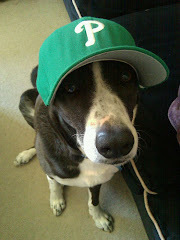 The Phillies signed him over slot money at a reported $250,000. He made his professional debut with short-season Class A Williamsport in 2017, notching a 1-3 record with a 2.48 ERA along with a .242 batting average against in 11 appearances (three starts). Parkinson would open the 2018 season with Class A Lakewood where he led the starting staff, sporting an 8-1 record with a 1.51 ERA, a .210 batting average against and a 10.9 K/9 mark. Promoted to Class A Advanced Clearwater in August, Parkinson continued to display mastery on the mound. In five appearances (four starts) with the Threshers, the Virginia native posted a 3-0 record, a 1.24 ERA as well as a .175 batting average against. 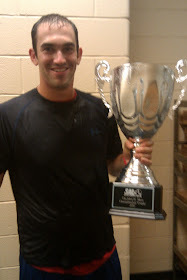 His overall 1.45 ERA for the season was the best in minor league baseball. With the remarkable season under his belt, Parkinson was honored as the top hurler in the Phillies' developmental ranks, getting the organization's Paul Owens Award last year. The six-foot-three 214-pounder is equipped with a pitch repertoire that features a fastball that resides in the low 90's, a very good change up, a curve ball and a slider. With some offerings that are rated about average, his efforts play up with a deceptive delivery. He also touts great command. There is no fear in Parkinson. He's an intelligent pitcher that goes right after the opposition and is confident while doing so. Parkinson always has a plan heading into any outing, maybe more so than any other pitcher. He has an amazing feel for pitch sequences, tends to think a pitch or two ahead and can outsmart batters with ease, getting plenty of swings-and-misses. 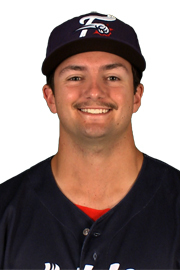 I would expect the 23-year-old to open the 2019 campaign back with Clearwater, but if he's able to dominate A ball the way he did last year, time with Double-A Reading won't be far off. How he performs at the upper levels of the minors should help to forecast what his future in the big leagues will hold. Building on a breakout initial full season that saw him honored as the Class A South Atlantic League's Most Valuable Player, first baseman Darick Hall continued to prove himself worthy of regard as one of the Phillies' most promising young power hitters. 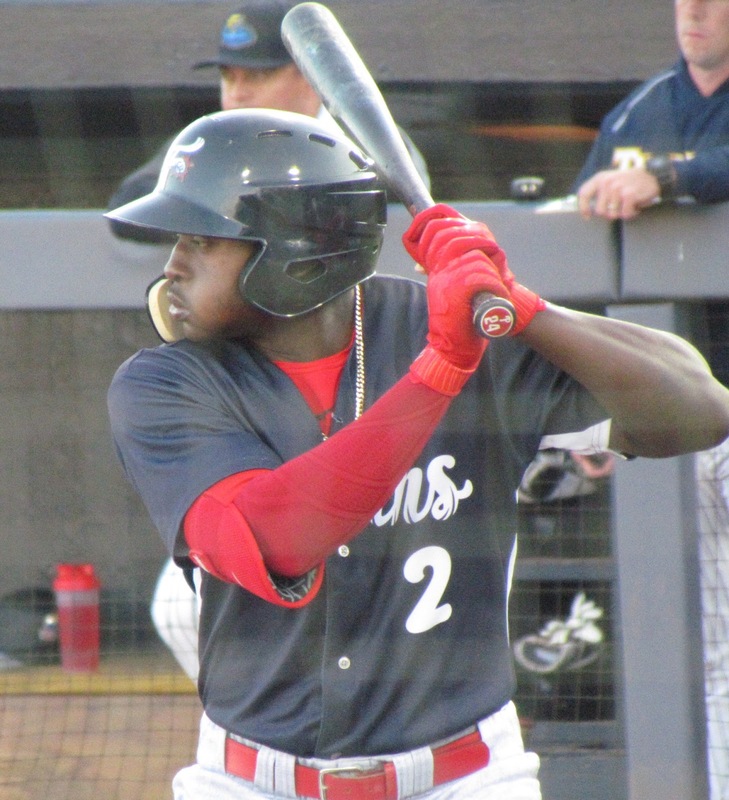 A 14th round draft selection in 2016, the Dallas Baptist product made his professional debut with the short-season Class A Williamsport Crosscutters that same year. In 57 games there, Hall tallied a .282 batting average with nine home runs and 29 RBI. His .890 OPS led the New York-Penn League. Hall, a left-handed hitter, moved up to full-season Class A in 2017 and with Lakewood, sporting a .272 average with 28 doubles, a triple, 27 home runs (team record) and 96 RBI (another team record) in 114 games. He would close out his 2017 campaign with a week in the Class A Advanced Florida State League playing for Clearwater. In seven games with the Threshers, the six-foot-four 242-pounder posted a .231 batting average with a pair of homers and five RBI. The clean-up hitter's presence in the lineup for a Lakewood club that had several teenagers that were learning what minor league life was like, playing everyday, traveling up and down the east coast, was crucial. Hall, who played three seasons of college ball helped his teammates learn what the professional athlete life is all about. Hall is an individual that can lead by example and he did just that all year long. In 2018, Hall continued his top offensive efforts, torching the FSL for two months. In 48 games, he batted .277 with 12 doubles, 11 home runs and 35 RBI. Promoted to Double-A Reading on June 1st, Hall would see his batting average dip in the Eastern League, but the power numbers did not fall off. 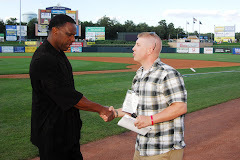 In 80 games for the Fightins, Hall tallied a .224 average with 10 doubles, a triple, 15 homers and 52 RBI. 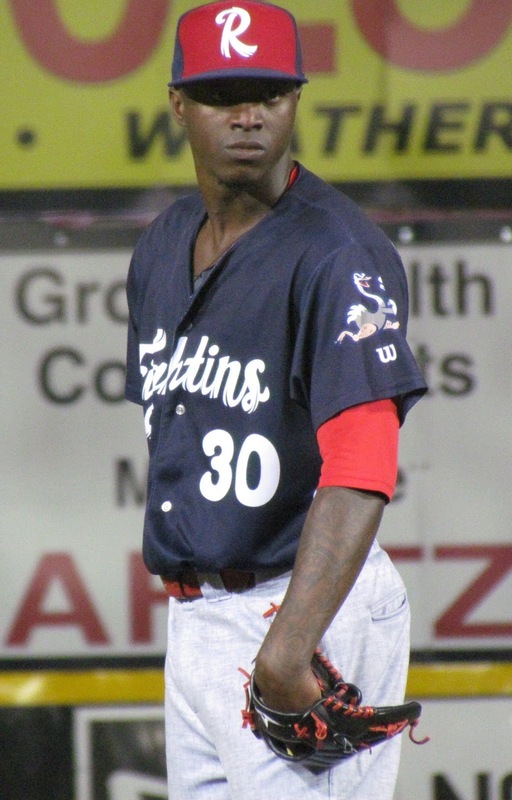 This off-season, Hall competed in the prestigious Arizona Fall League. There with the Scorpions he batted .234 while launching four round-trippers and driving in 12 runs through 18 games. Aside from his missle-like long balls, the 23-year-old's daily work and preparation are the things that impress his coaches the most. From a family where two of his uncles (Ladd Hall and Shane Hall) were drafted by big league teams, Hall feels structure is important to his game. Everything from diet and practice to making a game plan and following through have been critical to his success. Hall preaches "confidence is key" and knows where he needs to improve. While notching triple digits in strike outs each of the past two years, the talented slugger worked throughout the winter on refining his approach at the plate. Hall shared with me over the off-season that he picked up a timing tip from Mets prospect Pete Alonso that he hopes will help him going forward. On defense, Hall is solid. 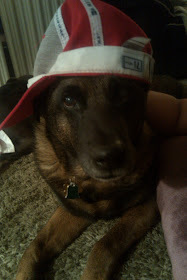 He is an accurate thrower with a .991 career fielding percentage. Expect Hall to open the coming season back with Reading, as he looks to have another big year while striving to reach the top level of the sport. Venezuelan second baseman Daniel Brito has steadily stood out as a talented performer throughout his pro career and is among the Phillies' most promising prospects. Signed by the Phillies in 2014 at the age of 16 for a reported $650,000, Brito would participate in that year's fall instructional league. 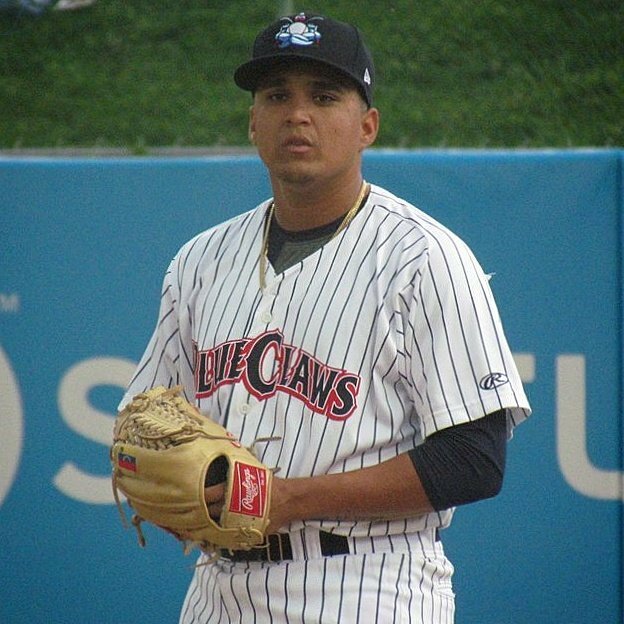 He made his official debut the following year with the Dominican Summer League team. In 60 games there, the six-foot-one 170-pounder would tally a .269 average with 10 doubles, three triples and 19 RBI while swiping eight bases. He debuted stateside in 2016 as part of the Rookie level Gulf Coast League Phillies. 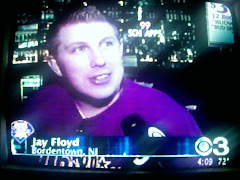 There he batted .284 with 10 doubles, five triples, two home runs and 25 RBI while stealing seven bases in 47 games. He opened the 2018 campaign back with Lakewood, something that coaches felt bothered the talented youngster, as he saw many of his teammates from the previous year move up a level. 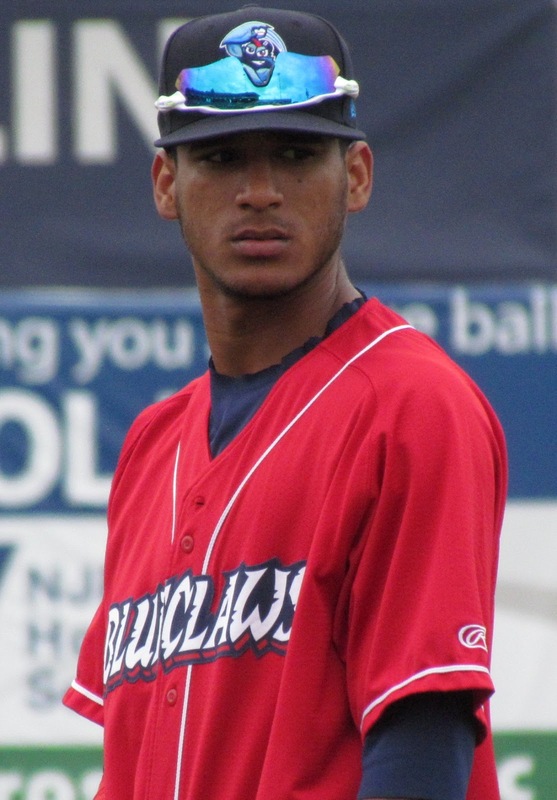 In 92 games for Lakewood, Brito tallied a .252 average with four homers, 31 RBI and 15 steals. 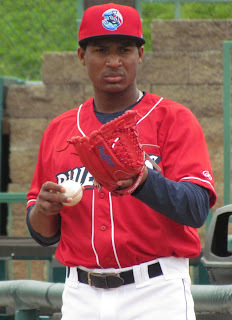 Brito was promoted to Class A Advanced Clearwater in August. In 27 games for the Threshers, he sported a .250 average with five doubles, two triples and seven RBI. Organizational coaches were pleased with the progress Brito made throughout the season last year. Following a slow start (.171 avg in April), he hit at a .268 clip the rest of the way during the regular season. Lakewood's hitting coach Tyler Henson cited Brito’s progress with putting together quality at bats and not worrying about the results. The left-handed hitter looks small and thin, but often puts the barrel to the ball and displays an ability to really drive the ball. If he adds some muscle, the power portion of his game could be quite exciting. Brito already shows an ability to make adjustments and hit the ball well to the opposite field. With the ability to work the count, Brito can draw plenty of walks as well. Brito is a smooth defender. With solid range and very good hands, the 21-year-old has the tools to become very reliable for a long a time with an above average skill set. He has spent some time at shortstop during his professional career as well, so that versatility could help him obtain playing time at the upper levels. On the bases, Brito’s got solid speed and good instincts that he could really use to contribute. A class clown of sorts, Brito keeps the dugout and clubhouse loose. He’s a player that can pick a teammate up mentally, when needed. He’ll also lead by example and is an individual that is easy to root for. Former Phillies director of player development Joe Jordan offered the following endorsement of Brito in the first half of the 2017 season. 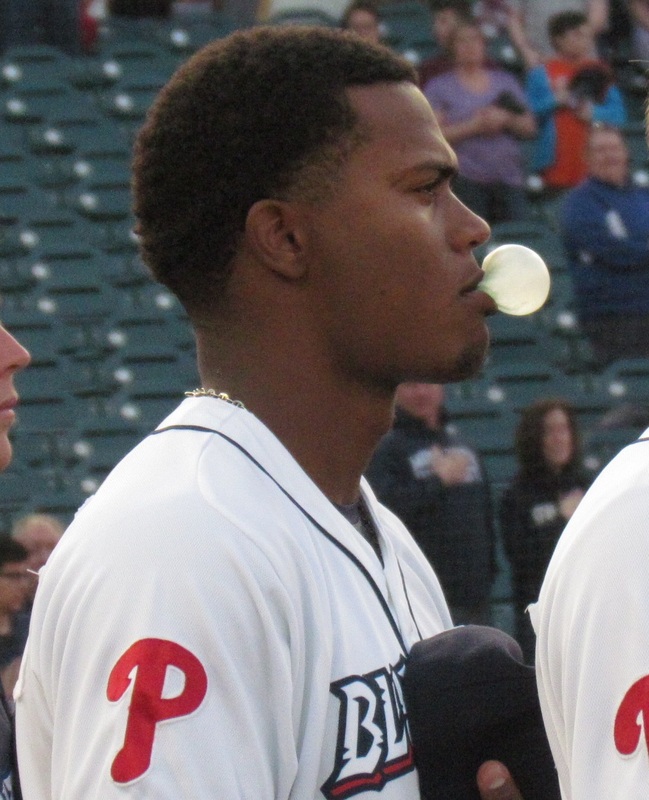 “Brito, you know, honestly, five years from now, he might be the best hitter of the bunch,” Jordan told me in relation to the Phillies’ outstanding crop of second basemen that included Scott Kingery as well as Cesar Hernandez. Look for Brito to open this coming season back with Clearwater for a lengthier taste of the Florida State League. If what Jordan felt during his tenure in charge of the organization’s developmental ranks is on point, it may not be long before Brito is among the handful of names that fans regard as the top few in the Phils’ system with a bright future in the big leagues. You can keep tabs on this year's complete Phillies top prospects countdown by clicking this link. The Phillies' top offensive performer in the minors last year, Austin Listi truly made a name for himself with a bust out season. A 17th round pick out of Dallas Baptist in 2017, Listi was a career .300 hitter with a .407 OBP in 236 career college games for the Patriots. 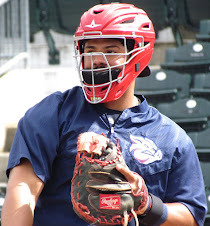 Generously listed at six-feet tall, 218 pounds, Listi made his professional debut with short-season Class A Williamsport in 2017, batting .293 with three homers and 17 RBI in 22 games before earning a promotion to Class A Lakewood. 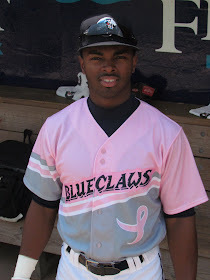 There, with the BlueClaws, he sported a .242 average with four home runs and 11 RBI in 31 contests. Last year he took a step up and opened his campaign at Class A Advanced Clearwater. In 58 games with the Threshers, Listi notched a .344 batting average with nine home runs and 45 RBI. Promoted to Double-A Reading in June, Listi would continue to succeed, batting .281 with nine home runs and 39 RBI in 65 games. Listi's combined average (.312), on-base percentage (.412) and OPS (.915) were all tops in the organization for the season. Defenisvely, he has played as many games at first base as he has in the outfield, but Listi will reportedly be used strictly in the outfield moving forward. He hasn't been a player that stands out on defense, but he is also not a liability on that side of the game. This off-season in the prestigious Arizona Fall League, Listi got time in both right field and left field. In 22 games there, Listi posted a .250 average with two doubles, a triples and seven RBI. The Texas native also represented the Phillies in the AFL's annual Fall-Stars Game. Speed is not a factor of Listi's game as he has just three steals in his two pro seasons. It's difficult to assert precisely what the future holds for Listi, but his swift rise in the system and the honor of receiving the Paul Owens Award from the Phillies last year made it impossible to ignore him on a list like this. Listi will go as far as his bat will take him. Fans should hope he's not another Andrew Pullin, who hit well at every level and tallied a .936 OPS at Double-A until he reached Triple-A and fizzled out (.633 OPS), ultimately retiring last season. Listi and Pullin are approximately three months apart in age. In big league camp with the Phils as a non-roster invitee this spring, the 25-year-old will get the opportunity to impress the team's coaching staff. 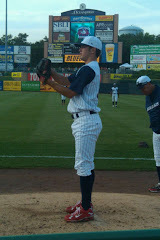 It's possible Listi could open the season at the Triple-A level, though some time back in Double-A may be more likely. Keep tabs on this year's complete Phillies top prospects countdown by clicking this link. Thanks to the return of his power stroke, outfield prospect Jose Pujols finds himself back among the Phillies most promising prospects this year. Fresh off a season that saw him honored as the Class A Advanced Florida State League’s Player of the Year, the 23-year-old looks like he could have a very promising future. 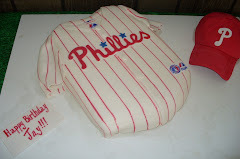 The Dominican native was signed by the Phillies in 2012 at the age of 16. That year he participated in the Florida Instructional League after the regular season. Opening his official playing career as a member of the rookie level Gulf Coast League Phillies in 2013, Pujols sported a .188 batting average with six home runs and 18 RBI in 45 games. In 2015, Pujols continued to show improvement with a .241 average, four homers and 30 RBI in 66 games for Williamsport. 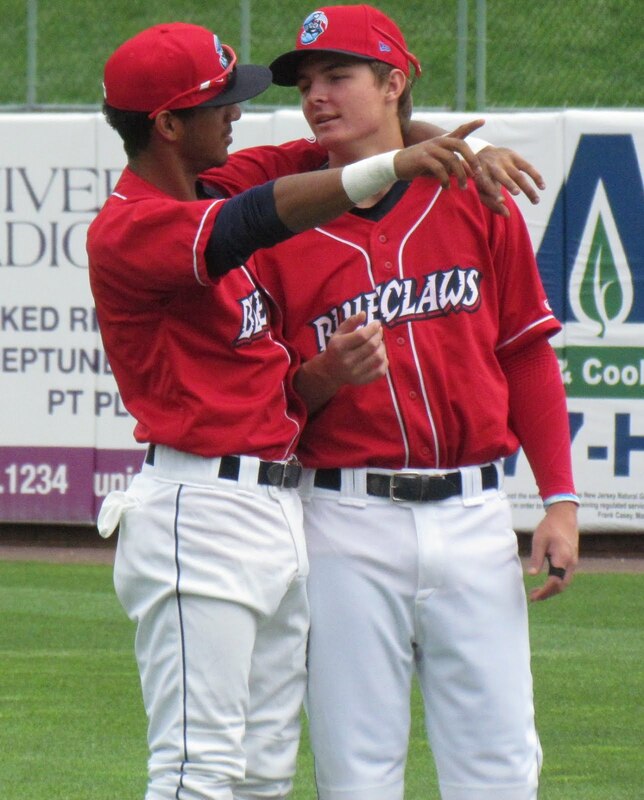 He followed up that campaign by breaking out and setting the single-season home run record for the Class A Lakewood BlueClaws with 24, which has since been broken by Darick Hall. Additionally, Pujols would post a .241 average with 21 doubles, three triples and 82 RBI in 128 games. In 2017, Pujols struggled in Class A Advanced. With Clearwater in 90 games he tallied an unimpressive .194/.247/.305 slash line while striking out at an alarming rate (roughly 43% of the time). Things clicked in a repeat effort with the Threshers last year. In 95 games in the FSL, Pujols would post a .301 batting average with 18 home runs and 58 RBI. 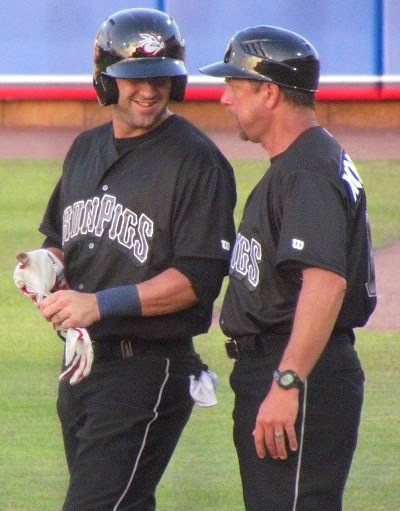 He was promoted to Double-A Reading in August and notched a .270 average with four homers and 18 RBI in 26 games there. His strike out numbers saw an improvement as well, with his K rate dipping to around 33% in 2018. In an interview with me last year, Pujols cited an adjustment with where he holds his hands as something that has helped him improve at the plate, but stated the bigger impact came from between his ears. Having a plan, knowing what the pitcher is trying to accomplish and having a more solid approach are things made the most difference for the youngster. With just 17 steals in his pro career to date, speed on the bases is not necessarily a weapon for Pujols. Coaches view him as a leader, something Pujols is conscious of, as he does his best to be an exemplary teammate and lead by example. With a lean six-foot-three 185-pound frame, Pujols still has room to add some muscle. 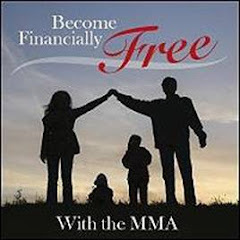 If he does, watch out, because he has already shown he can be a formidable power threat. 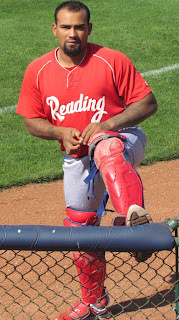 Pujols should open the 2019 season back with Reading. How he fares in a longer stretch at Double-A could help determine his true ceiling in the sport. For now, he appears to be a promising offensive threat worth keeping an eye on. A 5th round pick in the 2016 draft, Irvin had undergone Tommy John surgery, missing the 2014 college season, and recovered enough to earn first team all-conference honors as a red shirt junior, posting a 6-4 record with a 3.17 ERA and a 7.9 K/9 mark in 17 contests for Oregon. 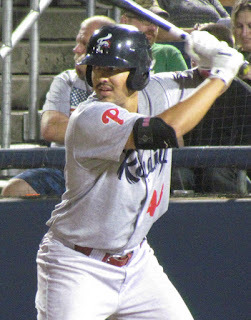 Irvin was the first of the Phils’ 2016 draft selections to reach the Double-A level and has enjoyed notable success at every level of his career to date. 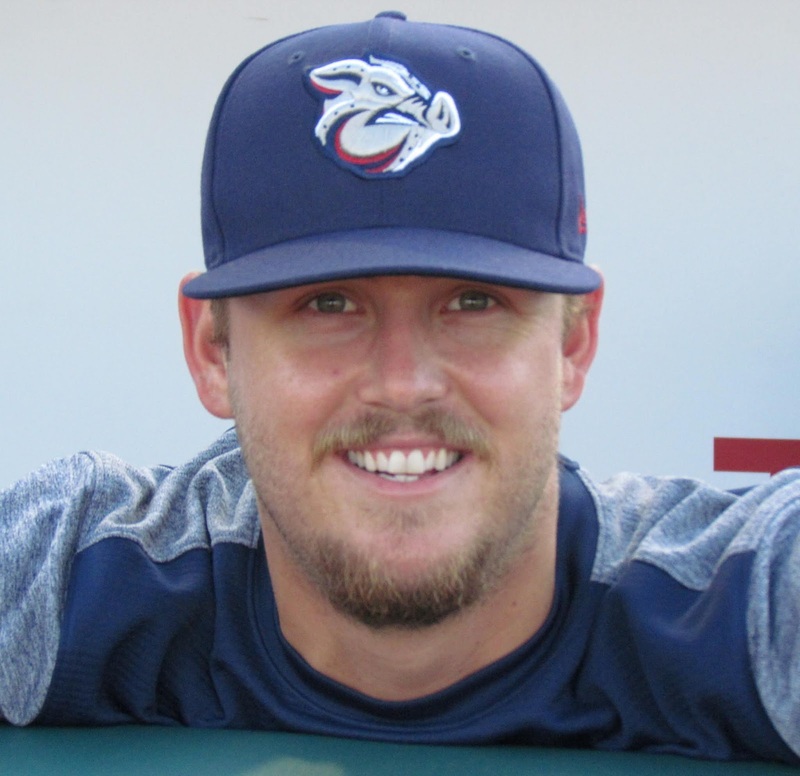 The 25-year-old made his professional debut shortly after signing with the Phillies as a member of the Class A short-season Williamsport roster. In 10 outings there (seven starts) he sported a 5-1 record with a 1.97 ERA while striking out 37 and walking just eight in 45 2/3 innings of work. In 2017, Irvin opened the season with Class A Advanced Clearwater. In 12 games (11 starts) he posted a 4-6 record with a 2.55 ERA while striking out 52 and walking 14 in 67 innings. He earned a promotion to Double-A Reading in June. In 13 starts he would notch a 5-3 record with a 4.06 ERA with 66 strike outs and 24 walks in 84 1/3 innings. Once promoted to the Eastern League that year, Irvin held opposing lefties to a .148 batting average. Last year, the six-foot-four 220-pounder took the step up to Triple-A Lehigh Valley, where he had an outstanding campaign, earning the honor of being his division’s All-Star starting pitcher. In 26 outings (25 starts), Irvin sported a 14-4 record with a 2.57 ERA, a .227 batting average against as well as a 7.3 K/9 mark. The repertoire for Irvin includes four-seam and two-seam fastballs, a strong change up that he can throw in any count, a slider and a curve ball. The fastball has movement with velocity that can range 93-95 MPH. Overall, the pitch offerings may not stand out, but Irvin is smart and knows how to use what he has. Former Phillies pitcher Dan Plesac talked about Irvin on Twitter this week, calling him a "pitcher, not a thrower", citing that he has a good feel for pitching as a strike thrower. Irvin works quickly on the mound and has excellent command. He likes to take charge and dictate the pace of a game. While possessing a great understanding of the game and displaying mature instincts, he studies the opposition and will have a solid plan each time out and has an ability to adjust on the fly. The talented prospect will be in big league spring training for a second straight year, getting a chance to impress the Phils' coaching staff. His ceiling could be as a mid-rotation guy with an estimated time of arrival in the big leagues being as soon as the Phillies have a vacancy this coming season. Righty pitcher Mauricio Llovera stood out in 2018 as an extremely promising prospect in the Phillies system. 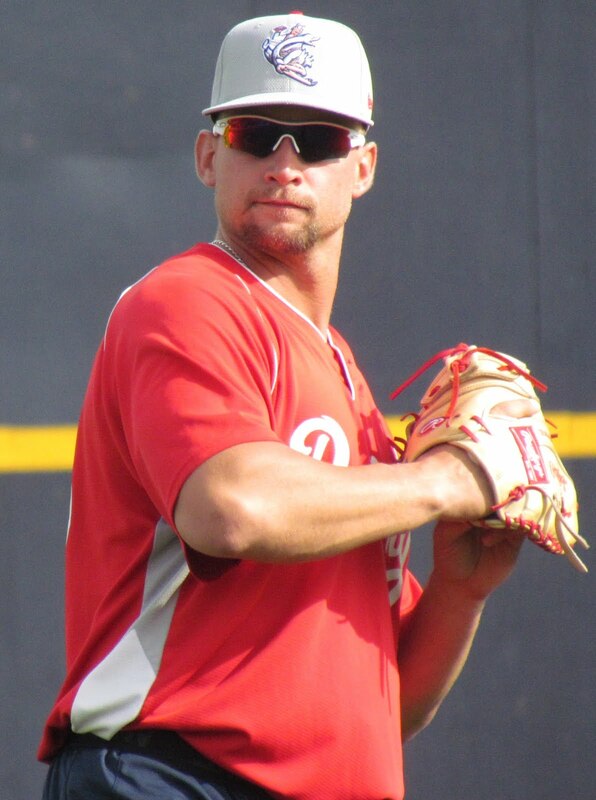 Signed in 2014 as an 18-year-old, Llovera has steadily progressed through the Phillies developmental ranks since turning pro. The Venezuela native began his professional career in the Venezuelan Summer League in 2015, recording a 2-3 record with a 3.23 ERA and a .209 batting average against in 11 games (10 starts). The following year, the five-foot-11 216-pounder was outstanding in the Gulf Coast League, sporting a 7-1 record with a 1.87 ERA, a .205 batting average against and a 9.5 K/9 mark in 11 games (10 starts). The win total was tops in the league. Additionally that season, Llovera allowed one or no runs in eight of his 10 starts. 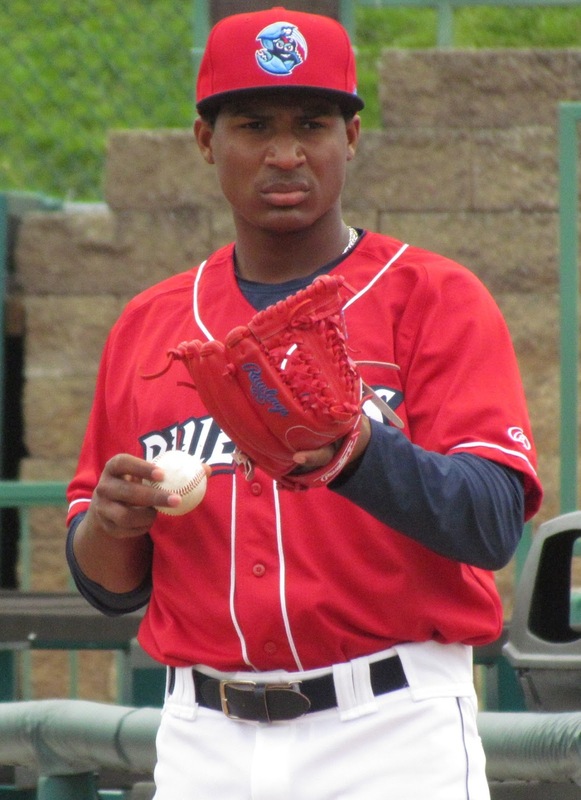 Moving to Class A Lakewood in 2017, the man who is affectionately known as “MoYo” around these parts would tally a 2-4 record with a save, a 3.35 ERA, a .250 BAA and a 9.8 K/9 mark, splitting time as a starter and as a reliever in 30 appearances (10 starts). The move into relief seemed quite successful, as his ERA splits favored his shorter outings (4.31 ERA as a starter/2.13 ERA in relief). 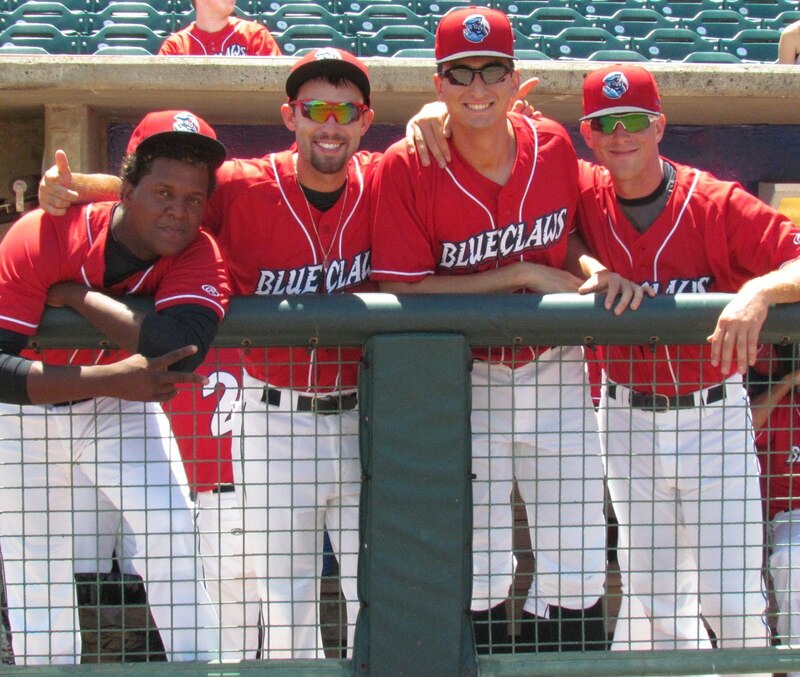 Last season with Class A Advanced Clearwater, Llovera moved back to a full time starting role, posting an 8-7 record with a 3.72 ERA, a .221 BAA and a 10.2 K/9 mark through 23 games (22 starts). He wrapped up his 2018 campaign with a string of six outstanding starts in which he notched a 5-0 record with a 0.96 ERA while striking out 48 batters in 37 2/3 innings. Llovera possesses a repertoire that features a fastball which typically ranges from 94-96 mph and can touch higher. His fastball features some movement that can tail up and in to right-handed hitters. He also touts a very good slider and change up combination that keeps the opposition off balance. Control is not a concern for Llovera, who stays around the zone. The talented hurler averages 2.8 BB/9 in his minor league career to date and he tossed just a pair of wild pitches in 121 innings last year. The next step in progression for Llovera will be tackling the Double-A Eastern League this upcoming season. It remains to be seen if his future is as a starter or a reliever, but we should find out what the Phillies’ thoughts on that matter are with the role that the 22-year-old is in, for the Reading Fightins Phils, at the start of the 2019 season. 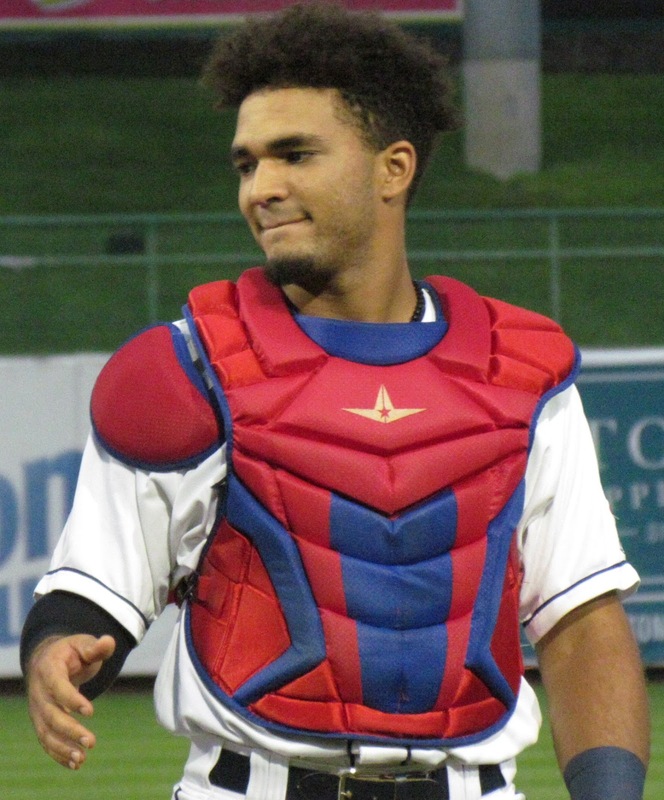 Catcher Rodolfo Duran made some big impressions last season and finds himself earning recognition among the Phillies' top rising prospects. The righty batting Dominican helped lead the remarkable pitching staff for the Class A Lakewood BlueClaws and was a considerable contributor to that team's offense. Signed as an international free agent in 2014 at age 16, Duran made his professional debut in 2015 with the rookie level Gulf Coast League Phillies. In 36 games there, the five-foot-nine 181-pounder posted a .185 batting average with three doubles, a triple and 10 RBI. The following year, Duran repeated the GCL, appearing in a pair of games with Class A short-season Williamsport. In 34 combined games, he batted .315 while slamming three home runs and driving in 14 runs. 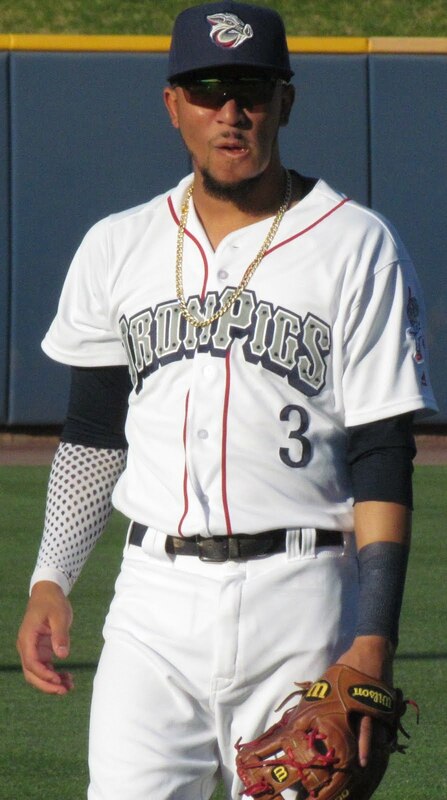 In 2017 the Santo Domingo native sported a .252 average with nine doubles, three triples and six RBI in 48 games with Williamsport. Last year he made the jump to Class A Lakewood, where he had a breakout season. Showing big improvements in the power department, he pounded 18 home runs. Duran also notched a .260 average with 48 RBI through 88 games. In June, he hit .397 with seven homers and was named South Atlantic League Player of the Month for his efforts. 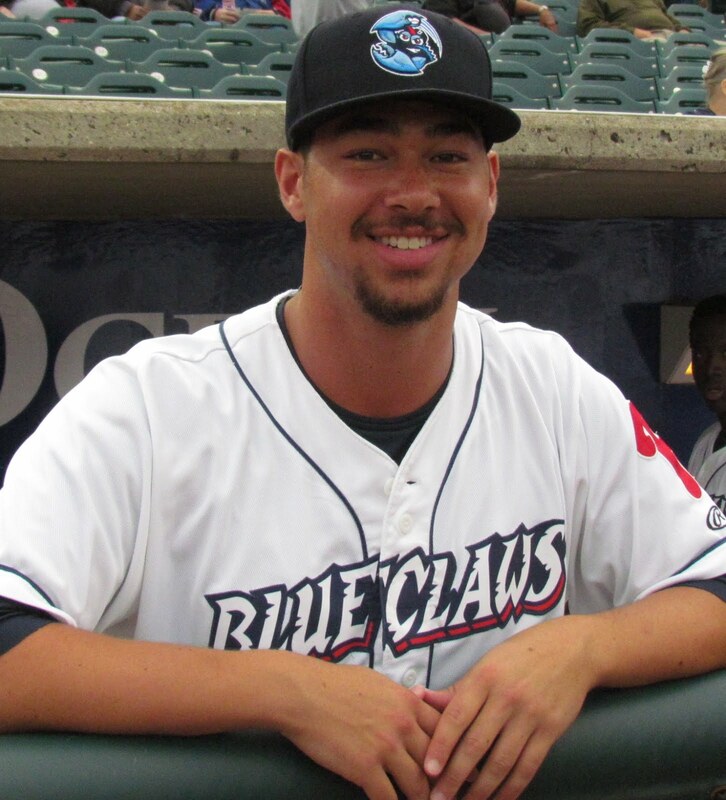 He homered in back to back games five times during his BlueClaws campaign, including June 27-29 when he launched round-trippers in three consecutive contests. 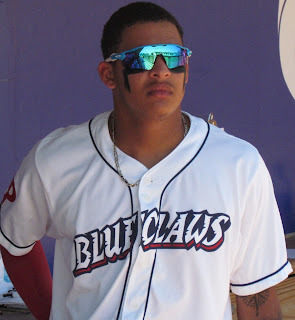 Duran also added three more homers during the BlueClaws' postseason run, in which they were runners up for the league championship. 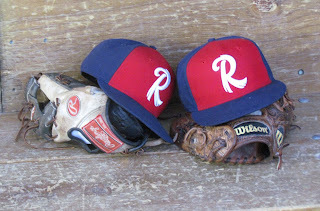 The Lakewood pitching staff that Duran handled recorded a league-best 2.74 season ERA and many of the team's hurlers credited their battery mates for much of the success. Defensively, Duran, who turns 21 years old this month, stands out as a sniper for opposing base runners. After erasing 48% of potential base stealers in 2017, he threw out 39 of 93 (42%) with Lakewood last year, which was the highest percentage among qualified catchers and he threw out the most runners of anyone in the Sally League. At the plate, Duran will need to improve his efforts against lefties, as he posted an OPS of just .472 against southpaws in 2018 in 98 at bats. An .866 OPS at Lakewood's FirstEnergy Park, which has a reputation as being favorable to pitchers, shows loads of promise, however. Duran should be expected to move up a level and start the 2019 season at Class A Advanced Clearwater. The future is bright for the youngster, especially if he can iron out the concerns at the plate. Track this year's complete Phillies prospects countdown by clicking this link. 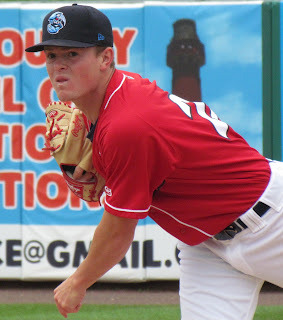 Selected in the third round of the 2017 MLB amateur draft, right-hander Connor Seabold made an immediate splash upon debuting as a pro and has continued to impress as he has moved upward in the developmental ranks at a swift pace. In his college career at Cal State Fullerton, the California native tallied a 23-15 record with a save, three complete games, a 2.96 ERA and a 9.5 K/9 mark in 56 appearances (42 starts) overall. 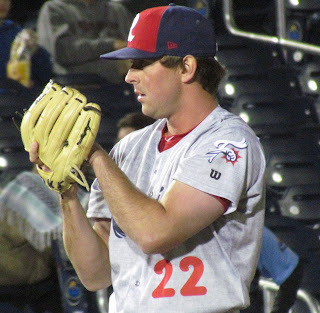 After signing with the Phillies, Seabold posted a 2-0 record with a 0.90 ERA and a .143 batting average against while striking out 13 batters and walking two in 10 innings of work in relief for the short-season Class A Williamsport Crosscutters. Last season, Seabold took quite a jump, opening the season with Class A Advanced Clearwater and switching to a starting role. In 12 games there he notched a 4-4 record with a 3.77 ERA, a .213 batting average against as well as an 8.5 K/9 mark. 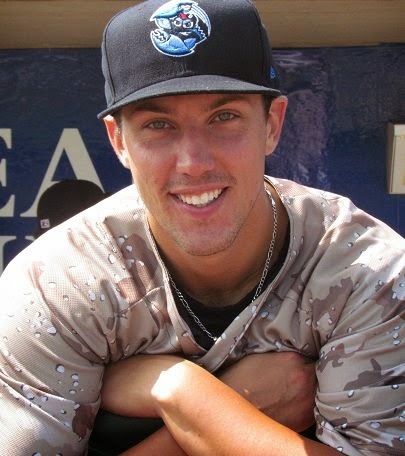 The six-foot-three 190-pounder earned a promotion to Double-A Reading in late June. 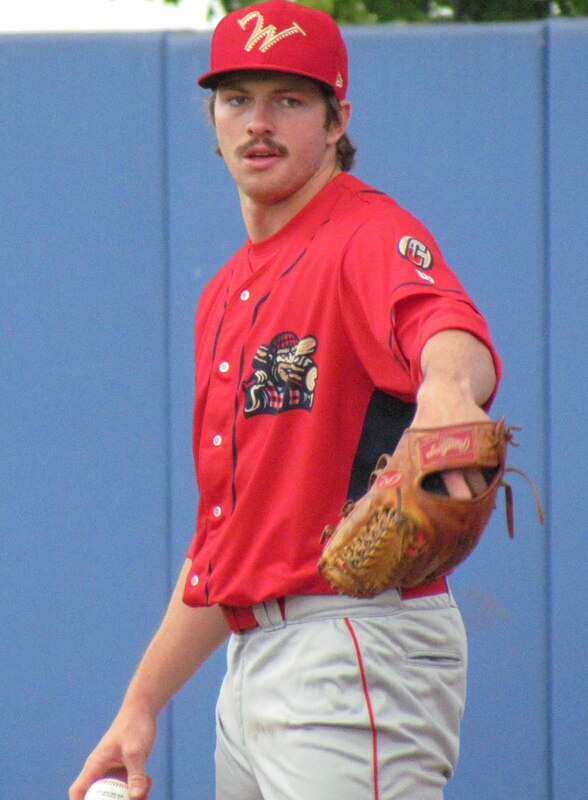 With the Fightin Phils, Seabold would post a 1-4 record with a 4.91 ERA, a .241 BAA and a 9.8 K/9 mark. Command is a big positive for Seabold, who features fastball velocity that generally resides in the 90 to 93 MPH range, a solid change up and a serviceable curveball. He can throw all three offerings for strikes and his walk rate is not a concern for the young hurler. The ceiling for Seabold could be a back-end starting pitcher in the majors, which would be a valuable piece to the rebuilding puzzle that has been the Phillies of recent years. Seabold, who turned 23 years old in January, could likely open the 2019 campaign back with Reading, where he would look to build on his success from last year and take strides toward the next level.